The Poodle is the American Kennel Club’s 7th most popular dog breed. A member of the Non-Sporting Group, this companion comes in all sizes and even has a hypoallergenic coat. If you think a Poodle might be right for you, here’s what you need to know. The name “Poodle” comes from the German word “pudel,” which means to splash or puddle. Standard Poodles descended from curly-coated Asian, French, German, Hungarian, and Russian water dogs, the earliest of which is the Barbet. The French called the breed “Caniche” in observation of its keen duck-hunting abilities. The Poodle has many talents, working as guide dog, guard dog, soldier, and even circus performer over their many years. Famous for their posh groomed coats, some believe their conspicuously placed puffs of fur were intended to add a layer of protection while hunting. However, there is more evidence that their coats were groomed in that fashion for entertainment. Miniature/Standard Poodles are smart, playful and obedient dogs with a great sense of adventure. They love to swim, run, fetch, and do just about any activity with their humans. Their tolerance of other pets and children is exceptional, though they tend to be reserved with strangers. The miniature Poodle tends to prefer a single owner, and is known to bark a bit more than its standard counterpart. Their coats are dense and curly, and can be black, white, or apricot. Depending on the size of your Poodle, they may require differing levels of physical activity to stay healthy. However, they all require a great deal of mental exercise and socialization to maintain a good mental state of health. They prefer to live indoors, but find great satisfaction in an outdoor romp. 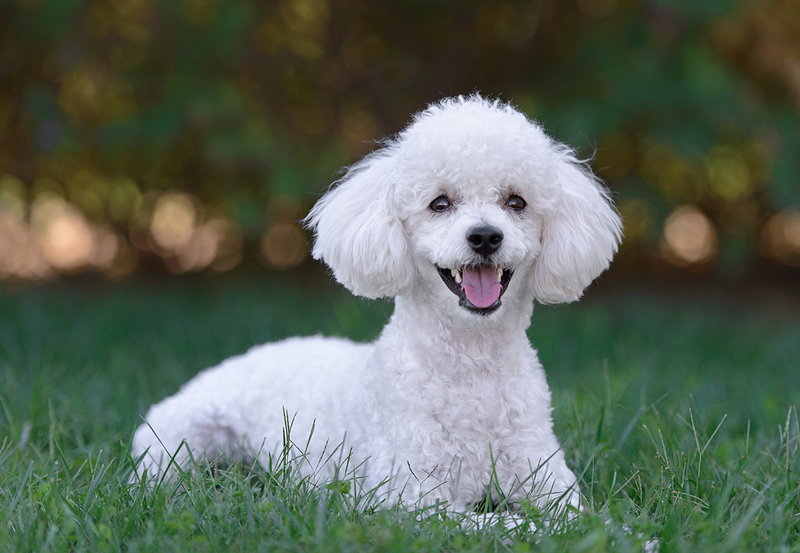 Most Miniature/Standard Poodles require weekly brushing, along with grooming every 4-6 weeks to prevent matting. You should remember to brush your Poodles teeth routinely, while an occasional bath and nail trimming will help keep them clean and comfortable. Poodles are prone to conditions such as patellar luxation, canine hip dysplasia (CHD), and entropion1. You should visit your veterinarian routinely to monitor for health concerns. Depending on a Poodle puppy’s pedigree, breeders charge anywhere from $1,000 to $5,500. If you’re in the market, know that supplies and initial veterinary expenses can cost up to $500, while maintenance care each year can cost another $500. Patellar luxation surgery can cost between $1,200-$2,500, and CHD can be even more costly. Diagnostic imaging alone can cost several hundred dollars, and surgical intervention can cost more than $4,500. A pet insurance policy with 4Paws Insurance helps pet parents worry less about the cost of important veterinary care for their fur-babies. Poodles are a very friendly breed and are usually good with kids. They are easy to train and are highly intelligent. Most of the poodles I have had the good fortune to meet have been playful and do not tolerate being alone. So, if you need a constant companion and you do not mind a regular grooming schedule, this is the perfect canine companion.